Bey fans may need to take the day off to absorb all the swag she's serving up. Standing in the crowd at Coachella almost one year ago, the energy pulsing through the crowd was tangible and we all knew we were about to witness something historic before Beyonce took the stage and delivered one of the most powerful, personal, and poignant performances of her career. Now, people around the world will get to witness some of thematic that the fortunate folks at the annual music festival were treated to in 2018 thanks to Netflix’s new documentary, Homecoming. Card-carrying members of the BeyHive may want to take a personal day off to absorb all of the swag she’s serving up in the 137 minutes of magic, and those who can’t can take a look at five of our favorite moments until they have time to watch (and re-watch) the masterpiece Queen Bey just blessed them with. Beyonce called every single shot when it came to her groundbreaking performance now and forever known as #Beychella. Instead of belting out her winning medley of beloved tracks as usual, the hand-picked marching band, drumline, and orchestra that backed her on the custom bleachers she built on her stage elevated her hits to a whole new level. She curated her list of favorites and included some of real showstoppers including The Black National Anthem (“Lift Ev’ry Voice and Sing”) and their own rendition of “Do Whatcha Wanna” by New Orleans-based Rebirth Brass Band. As the first Black woman to ever headline the annual music festival, Beyonce made sure to make her mark for the culture. Throughout the film, she explains how she was influenced by witnessing Battle of the Bands as a child and how her father’s attendance at an HBCU affected her upbringing. From her elaborate costumes, to the hand-picked orchestra, dancers, drumline, and majorettes; every aspect of the show was meant to highlight the importance and impact of the HBCU experience. Hearing Beyonce describe her intention and watching her pull it off will likely leave even her harshest critics in awe of her talent and her vision. 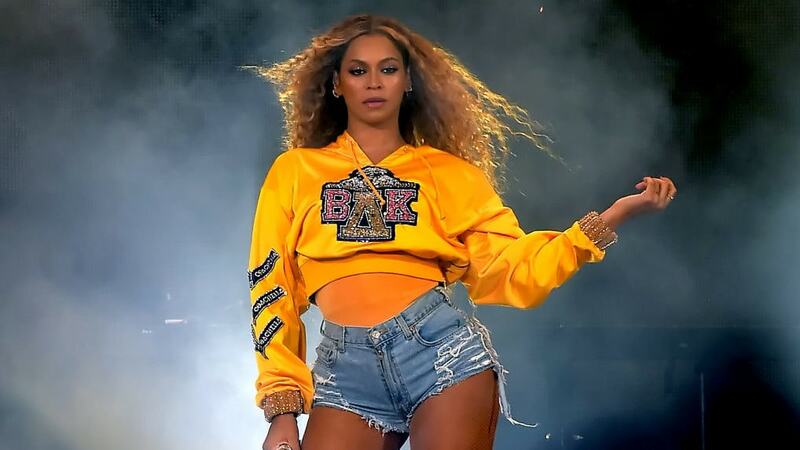 Homecoming serves up TONS of performance footage from both nights of #Beychella, providing fans with a much closer look at the complex choreography she and her team of dancers make look so easy. Fans will get to see a lot of the folks who helped Beyonce pull off the historic performance and will recognize some familiar faces like Ashley Everett and Les Twins along with some new talent showing off some serious skills.